The ground shakes as the tasselled feet of the dancers strikes against the red earth. Heavy drum beats reverberate through my torso and a primal rhythm stirs within me. The muscled bodies move, sway and strike the ground with thundering unison. The traditional beehive huts nestled along the Mantenga river are towered over by the sheer granite wall of Njunju mountain and execution rock. This is a place steeped in history and mystery brought to life in an authentic way in this lovely setting beneath the Kiaat trees. It’s amazing how the people of the Kingdom of Eswatini (Swaziland) have maintained so naturally their cultural traditions and yet have adopted so seamlessly the trappings of today’s modern life. 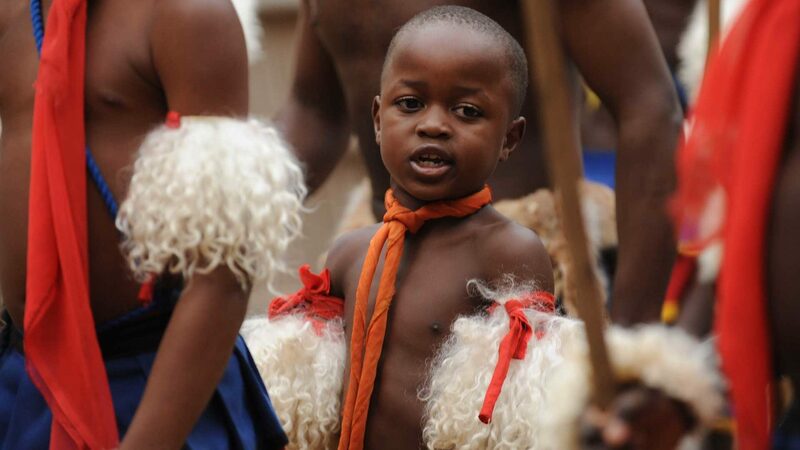 Eswatini is a cultural melting pot with a uniquely peaceful history that leaves a savoury way of life that is strikingly endearing.